I'm at the first UK based Neuro Leadership Summit today and we're starting with UCLA based social researcher, Matthew Lieberman, plus the CIPD's Peter Cheese, on navigating the social landscape. So for example if we reflect on our most painful experiences they tend to be connected with relationships. However, although we accept a broken leg caused us real pain we tend to think of social pain as more of a metaphor. That's not really the case - a broken heart is real. We can see the brain is more active when people are included in social activities. And paracetemol treats social pain too. Why are we built this way? Is it useful that social pain can inhibit us - is it a great evolutionary mishap? We need air, food, shelter - and an iPhone of course. Maslow suggests other needs only kick in when these basic needs are satisfied. But actually, mammals need social interaction too - we can't survive when we are born unless there is someone taking care of us - someone who is so interested in us that they help us time and time again. So Lieberman puts social needs at the bottom of his pyramid. As well as social pain, we've activated by social pleasures - social rewards including people, drugs and money. Particular ping points include having someone you love send a message about how much they love you. Having strangers tell you they respect you. Giving money and other things to others. Holding someone's hand as they go through something stressful. But the prevalent view is that we can motivate people by money. And we are selfish creatures, but we're not just selfish. Our desire to connect with each others is a basic truth about ourselves. It's basic state about ourselves. A social super power! So its's interesting that in terms of money given, time spent etc, Facebook is our third biggest religion. What is the value of this behaviour? Economists suggest the equivalent value of spending time with good friends is about $100k per year. Volunteering has the same effect of increasing salary from $20 to $70k. When kids give toys to others they look much happier than way they are given the same toys. There is an intrinsic joy in this. You can see the impact of social in the way we act constantly as mind readers. They're not perfect - the secret is to predict the way others predict the way we will behave. This gives us a great opportunity for cooperation and collaboration. We need to be able to think intelligently about your goals and feelings. It's another social super power. Is it a general example of our ability to think analytically. No - we have a separate brain system in the mid-line of the brain vs our pre-frontal lobe for this type of thinking - mentalising = thinking about the minds of other people. An important point about this social network is that other types of thinking tends to shut it down. They're on a see saw - they're not just distinct, they're oppositional. Analytical thinking stops us mentalising. We need to help businesses give time and focus on this social type of thinking. Eg just give people breaks between maths problems so our brains can switch back into social networking mode. Also, showing a picture of a brain helps us get behind people's actions and understand what they were thinking and feeling behind this. the third social superpower is thinking about yourself - as this is normally done in terms of how do you fit into a group, and this is done by the same social network. Because the social kryponite is that we forget about the power of social - it doesn't stay salient. For example when kids are asked how connected they feel at school - the US comes last, and there's lots of bullying - verbal and cyber as well as physical. And it takes place in the workplace too. We are increasingly aware of the major mental health consequences but we forget about the performance impacts - when we leave the playground and are back in the classroom and we're no longer being bulled. It continues because we're still impacted by that physical pain. Same when it's social but we tend to think people should just get over it. IQ and GRE test scores drop after people have been rejected. Also re learning in classrooms and businesses - being social is the best way to learn but we tend to discount the social behaviour. Prosocial behaviour (preparing to teach someone else) is more useful than prepping to take a test. This isn't about consolidation through teaching - it's just preparing to do it. Because this involves a different mental system. Productivity is hugely increased by focusing on how you are helping other people. What about leadership? If a leader is very analytical and results focused very little chance they will be seen as a great leader. But chance sky rockets if they also have good social skills - acts as a multiplier. Needs both - social skills on their own don't work either. We need a clearer focus on these social super powers - it's important. Eg we know giving physical rewards activates dopamine in the brain. But so does praise and it doesn't cost anything!!! We need to understand them analytically - and practice enough to make part of our gut processing. And we're not at that point yet! 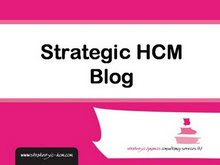 Here are my slides on 'The New (Social) HR' from SHRM's Annual Conference in Chicago. I tried using some of the other presenters tweets in my own presentation, which I thought was an appropriately social thing to do. The last tweet, my favourite on the social HR agenda, was from #E2Conf, the Enterprise 2.0 conference in Chicago though - reinforcing that HR are still catching up with IT on this agenda. I'm at SHRM's Annual Conference in Chicago this week. 10.45 Mike Reardon, Disney's Approach - not especially social, but definitely highly human! I hope others will be blogging on these sessions as well and would encourage those who do to share these on the Social HR community on Google+. 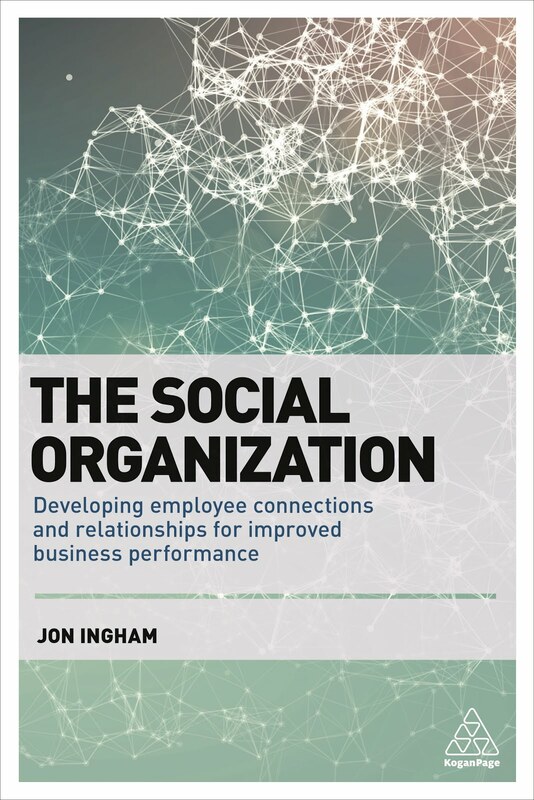 And a reminder my own session on 'The New (Social) HR' will be at 10.45 on Tuesday (after Dan Pink). I was out in Colombia and Chile last week presenting on managing people for social capital. I'd already localised my presentation as I always do, incorporating a couple of local companies and an analysis of the local culture in my presentation. So I'd already been prepared to talk about how national levels of social capital and trust in South America can be quite low. (I see that as an opportunity for companies operating there, as I don't think they necessarily need to be limited by the context of their national cultures but it also means there's a greater opportunity to differentiate themselves from other local companies which believe that they are. As you can see, Chile has the lowest levels of trust of all these countries. That might present a challenge in developing social capital! It may therefore also seem strange that Chile has the highest GDP growth within the OECD (5.2% compared to the 1.4% average) but actually these things are linked the other way around. Quick increases in wealth increase income inequality which is a major break on trust. So I understand these two seemingly oppositional findings. "Chile ranks fifth in the world for social networking usage A recent study has suggested that Chile has the fifth highest usage of social networking sites worldwide. Chileans spend up to a third of their time on social networking. The average Chilean internet user spends around 8.7 hours per day on social networking sites. This figure is some 3.3 hours greater than the worldwide average of 5.4 hours per day." I asked about this at the Chile conference and was told that the social networking use there is fairly superficial i.e. about sharing photos and things rather than communicating about anything of consequence. Fine apart from most social networking use elsewhere is inconsequential too. And that I question whether you would want to even share your photos with someone you don't trust. There's something else going on. I haven't checked but I suspect it's about something to do with how trust is. That Chileans trust family and closer friends and that their networking is with them. but that they don't trust, or social networking with, people who are further removed. Any thoughts? - particularly if you attended the session?